N'taba River Lodge is a family resort offering the finest mixture of Wild Coast hospitality and hugely comfortable rooms. Arguably one of the best hotels in Nairobi. 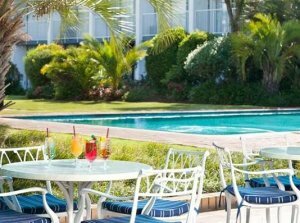 The hotel has landscaped gardens with palm trees and water features throughout. We offer welcoming accommodation and a glittering casino with 150 slot machines. Nathan Hotel is located amid the hustle and bustle of Hong Kong`s major shopping, entertainment and night life district of Jordan in Kowloon. Comfort in the centre of St. Petersburg. Elegantly decorated rooms are welcoming and feel like home. 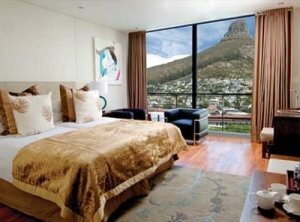 Located in Sea Point, this sophisticated boutique property offers guests 42 spacious designer rooms, to cater for both the corporate and leisure traveller. Newcastle Inn Hotel in Newcastle, Northern KwaZulu-Natal. This premier hotel in Northern KwaZulu-Natal has 165 superbly appointed rooms. Perched up on the edge of the valley, the view of the Chobe River and the open floodplains from the vantage of your private room and plunge pool is unrivaled in the area. The 5-star NH Collection Amsterdam Grand Hotel Krasnapolsky is on Amsterdam’s main square with views across to the Royal Palace. The stylish NH Milano Grand Hotel Verdi is in a fantastic spot right by Porta Nuova, the city’s new business district. Novotel Amsterdam City is a 4-star hotel in the heart of Amsterdam's business district, near the RAI Congress Center and the World Trade Center. The Novotel Cotonou Orisha is a 4-star hotel enjoying a seafront location in the centre of Cotonou, close to the Palais des Congrès (convention center) and the International Conference Center. The 4-star Novotel Kraków Centrum hotel is situated in the city center, opposite Wawel Hill and just a few minutes from the Old Town. Welcome to Novum Select Hotel Berlin Ostbahnhof - close to Ostbahnhof and the East Side Gallery! Nestled between neighbouring vineyards, with Paarl Mountain in view, we offer a tranquil and private space that is only a stone's throw from the center of town.